Yesterday we drove to Metz for la Féérie de Glace Disney. 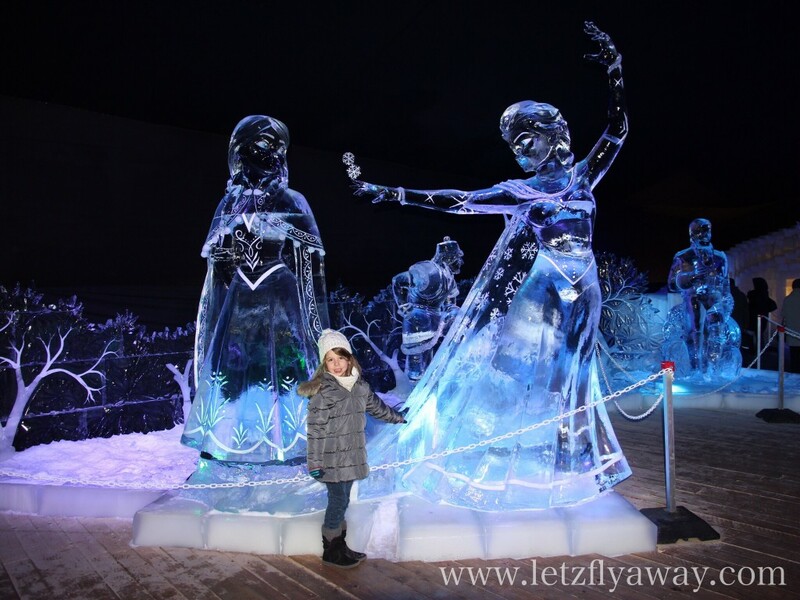 If you’ve never heard of it, la Féérie de Glace is an exceptional 1400sqm exhibit of ice sculptures inspired from Disney characters. 30 artists of 12 different nationalities work during five weeks to make this all happen. 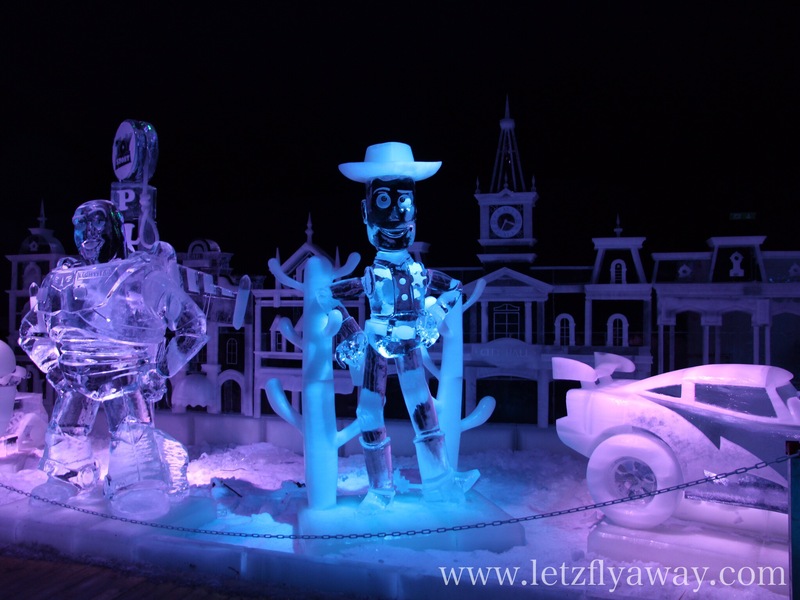 600 tons of ice are used to built 80 sculptures ranging from 2-6 meters. 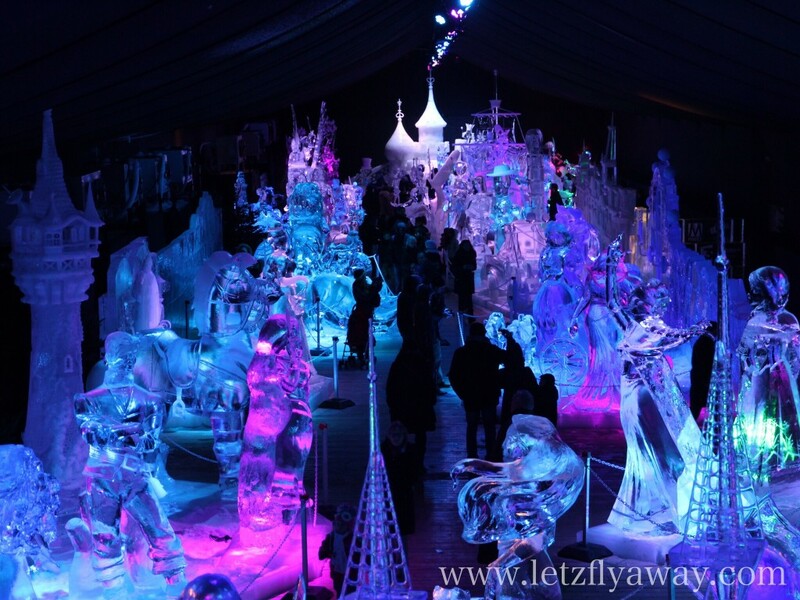 The temperature inside the ice palace is constantly kept below -6°C. You’ll meet all kinds of Disney heroes and princesses like Buzz and Woody or Elsa and Anna. 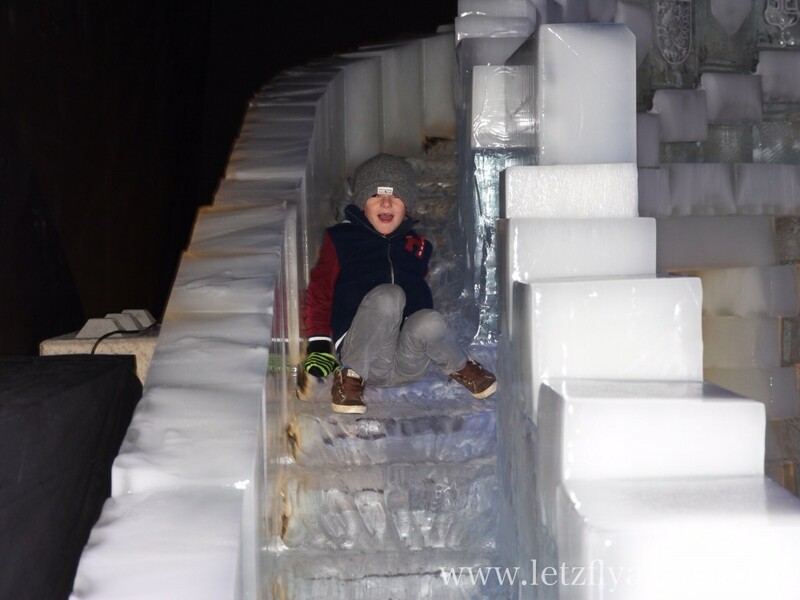 For 2€, you can have mulled wine or hot chocolate milk at the ice bar inside while your kids enjoy the big ice slide. We didn’t tell the kids what we were going to see so it was a nice surprise! They really enjoyed the exhibit and so did we! 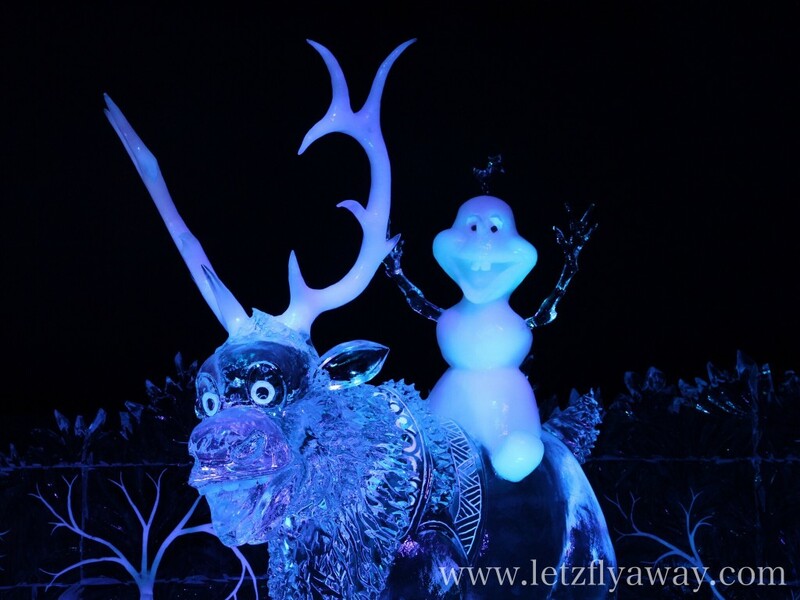 It is amazing to see in what detail every character has been sculpted. They are real artworks! 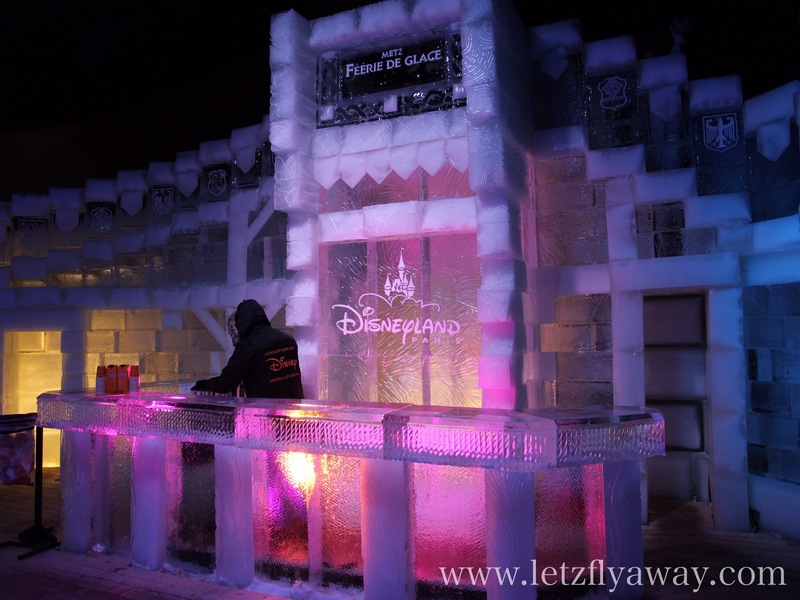 EDIT: This post was written after our visit of La Féérie de Glace in 2015. -Dress warm! It’s extremely cold inside! 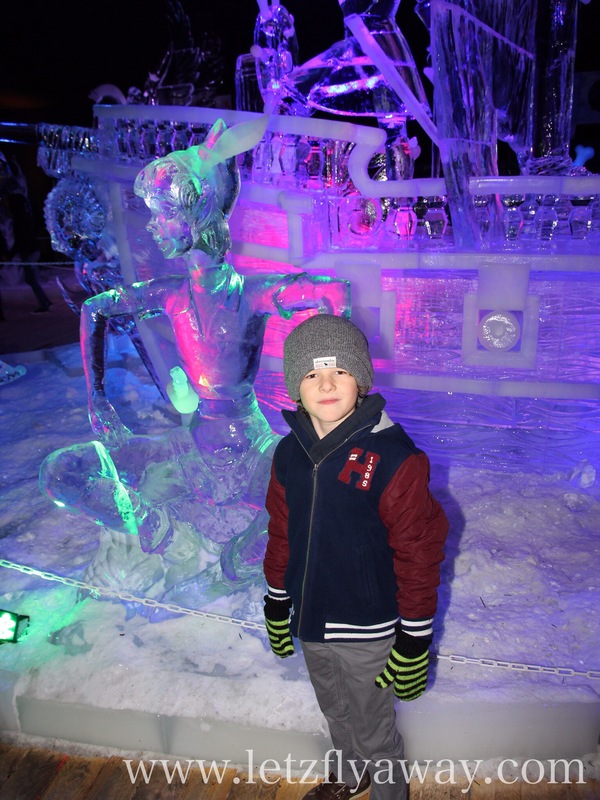 Hats and gloves are a must to fully enjoy the visit! 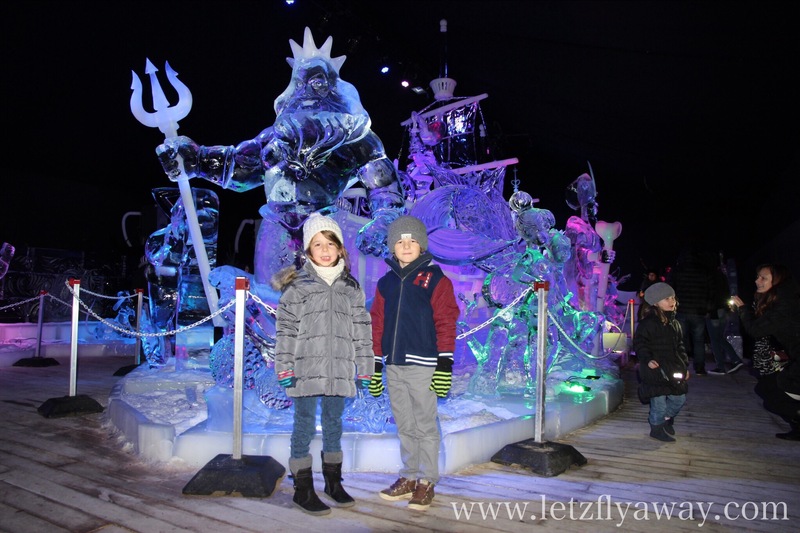 If you have any questions about visiting la Féérie de Glace in Metz, please leave a comment below or contact us. 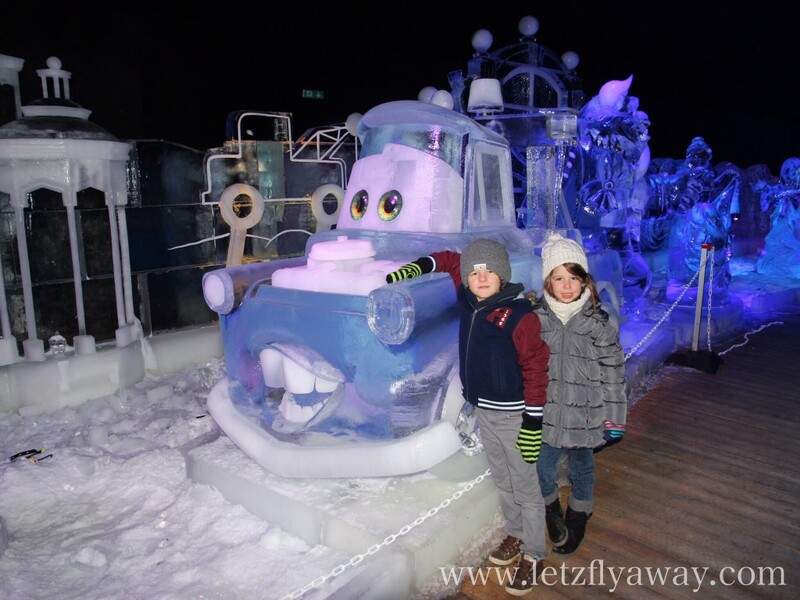 For travel inspiration with Kids Like Letzflyaway on Facebook and subscribe to new posts.